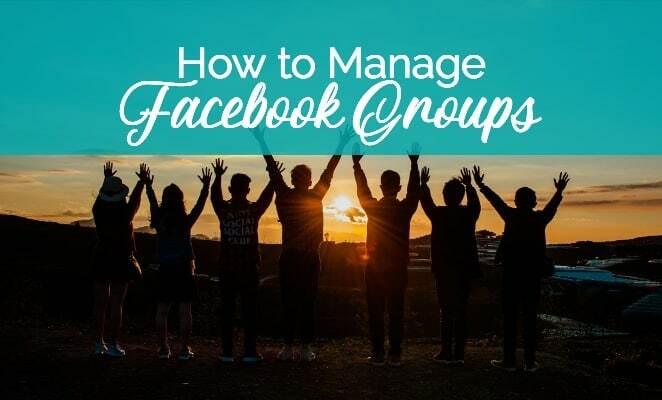 Facebook groups are a great way to create more social interaction on Facebook, so you can improve your Facebook organic reach, make valuable connections, attract more leads, and make more sales. But managing Facebook groups can be a challenge. Watch and discover how Val Selby, host of the Wife Behind the Fire group, reveals her secrets to growing the group to 757 members, with a participation rate of 96%. 04:11: Why are Facebook groups a good idea for marketers and business owners? 08:40: What type of group should you create: public, secret, or closed? 15:37: How do you get people to join your group? 29:25: Should you monetize your group? And, if so, how? Facebook wants us to "encourage meaningful interactions between people." The best way to do that is with Facebook groups. Create a Facebook group around a topic related to your business or product. Or if you already have a group, then try some of the tactics Val shared in the interview. Then tell us how it's going! BONUS: Claim your FREE copy of the Social Media Checklist! Lexi Rodrigo is a communication and marketing professional for multimillion-dollar businesses, co-author of Blog Post Ideas: 21 Proven Ways to Create Compelling Content and Kiss Writer's Block Goodbye, and host of "Marketing Insights LIVE!." Connect with Lexi on Twitter, Facebook, or LinkedIn.